The Pastoral Council functions as a consultative and planning body assisting the pastor to make certain that the mission of Christ is being carried out effectively and the faith needs of the parishioners are being met. 1) Fulfills the pastoral mission of Jesus and the Church in a specific part of the Archdiocese. 2) Strives to build a community of disciples who recongnize their baptismal calls to lives of holiness, witness and service. 3) Engages in a continuous process of pastoral planning, which takes into account the needs and priorities of its parishioners, the Archdiocese, the broader community and the world. Members of the council are discerned members of the parish. Therefore they know the people of the parish and provide valuable insight and knowledge about the pastoral activties. Pictures of the current Pastoral and Finance Council members are posted on a bulletin board in the back of church. 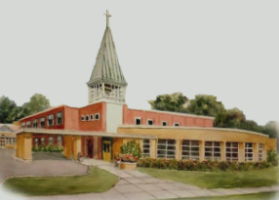 Council meetings are announced in the Parish bulletin and parishioners are invited to attend. For more information on the Archdiocese Norms and Procedures please click here.